I received the Ice Cream Cone Cupcake rack in order to facilitate my review. All opinions are my own and may differ from yours. 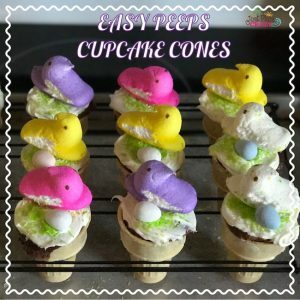 Peeps Cupcake Cones Recipe – Make, Bake and Take Ice Cream Cone Cupcake Rack! 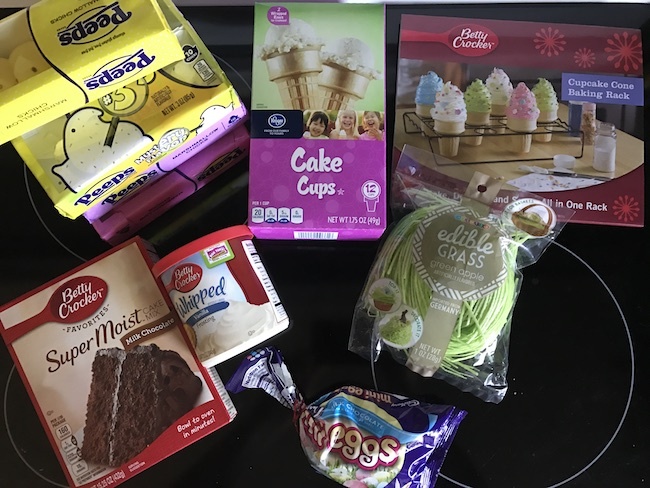 Here is a unique kitchen gadget you might want to add to your collection if you enjoy cupcakes! 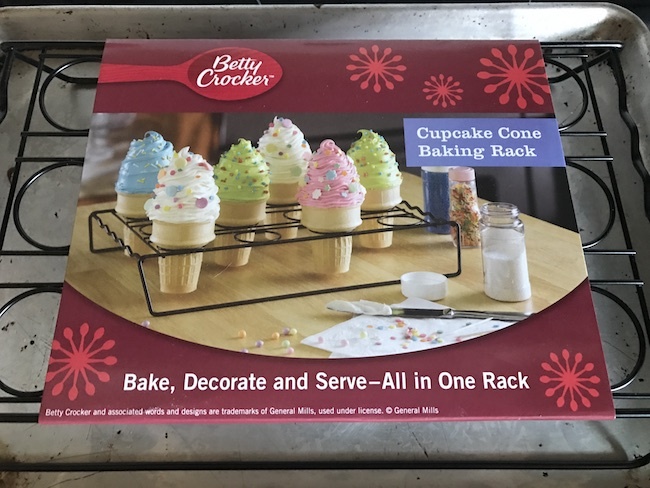 The Betty Crocker ice cream cone cupcake baking rack, allows you to bake a cupcake in a ice cream cone! This rack makes it to where the ice cream cones will not tip over when you bake them! 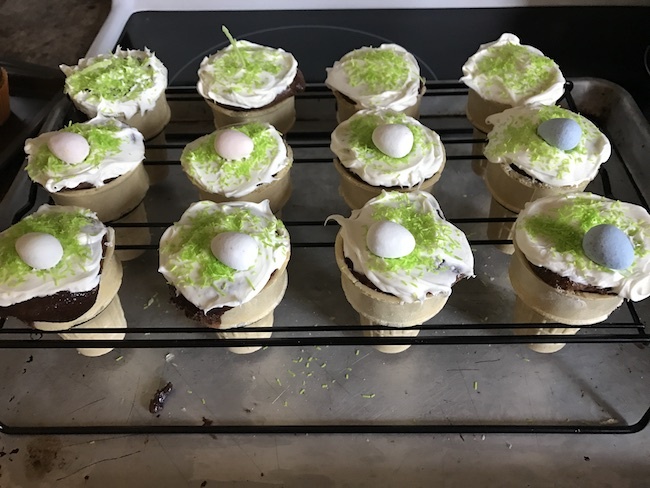 Then once they have baked and cooled, you can even use it as a stand to decorate them, and transport them! If you have never made a cupcake in an ice cream cone you are missing out. You simply make your cake batter as usual, pour into cones, like you would cupcake liners and bake. 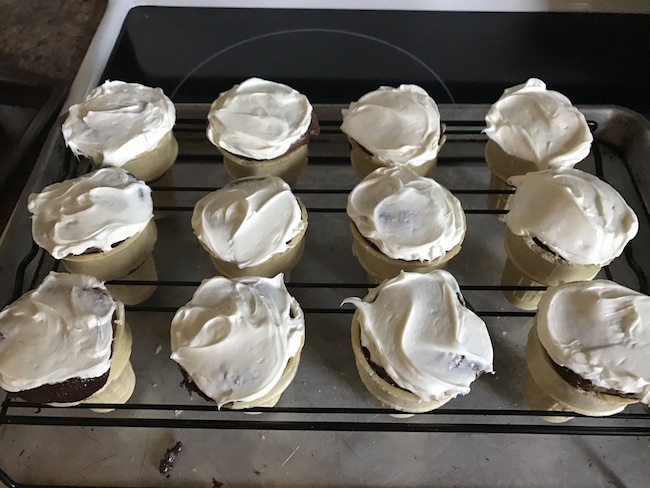 The cone stays nice and firm and adds a crunch factor to your cupcakes. This is a great option for a summer birthday party theme! Kids absolutely go crazy over these! 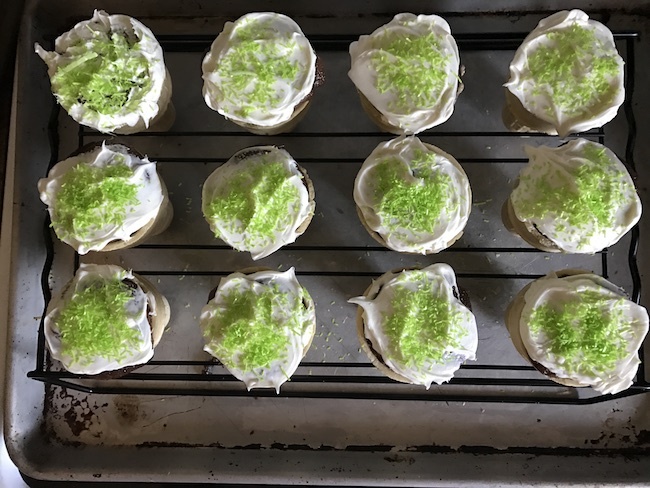 You can even disguise your cupcakes with decorating to make them look like ice cream cones! 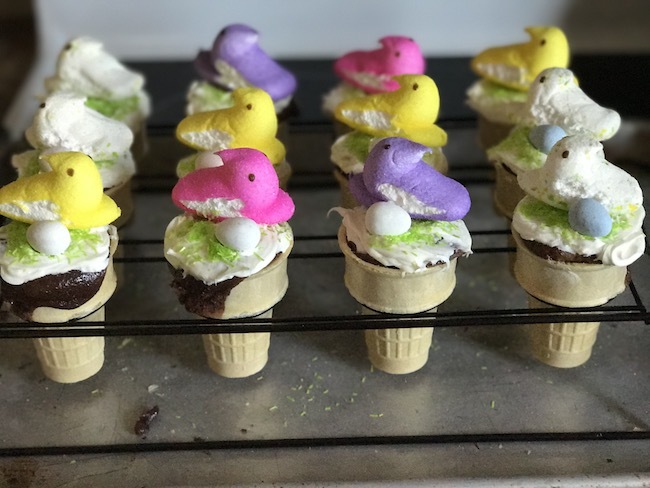 Pinterest has so many fun idea’s of ways to decorate your cones, if you need a little inspiration! 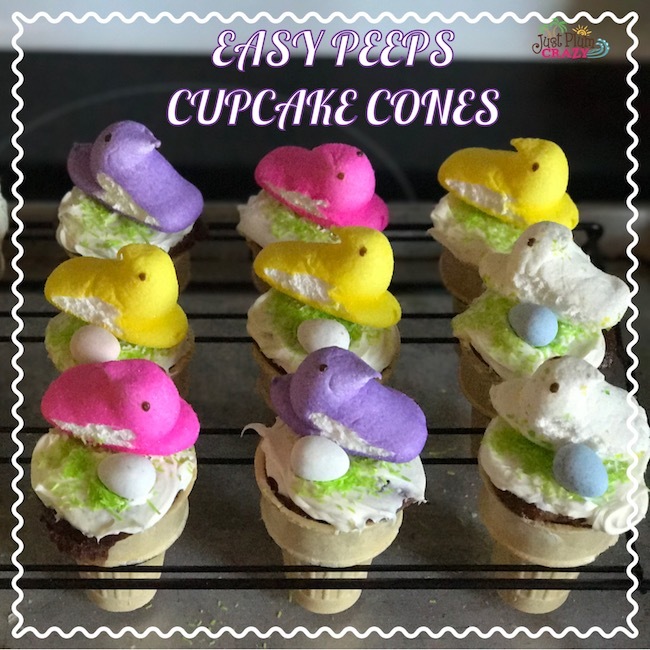 We made an easy Peeps cupcake cones recipe. 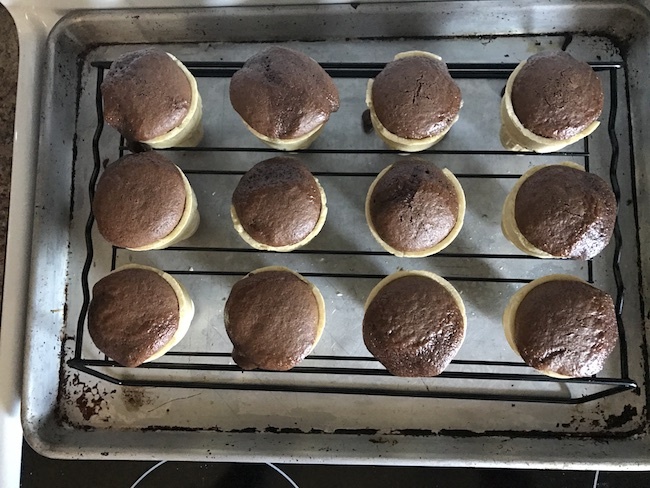 If you are curious what the cupcake taste like inside, let me ensure you it is moist and delicious! I thought the ice cream cone would dry up the cupcake, but it does the opposite, it seems to protect it, leaving the cupcake light and fluffy! 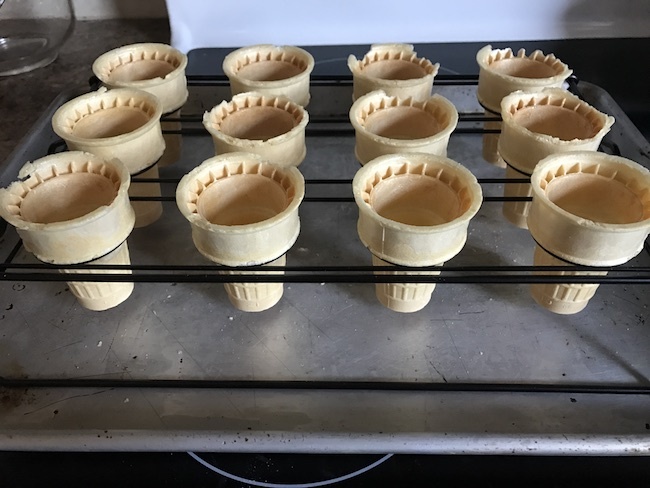 Betty Crocker Ice Cream Cone Baking Rack. 1. Make your batter as directed on the box. 2. Fill cones a little under 3/4 full. 3. Bake about 25 minutes at 350°. 5. Let cool for about 30 minutes. 7. Add Edible green grass. 8. Top off with Peep Chicks and mini Robin Eggs. 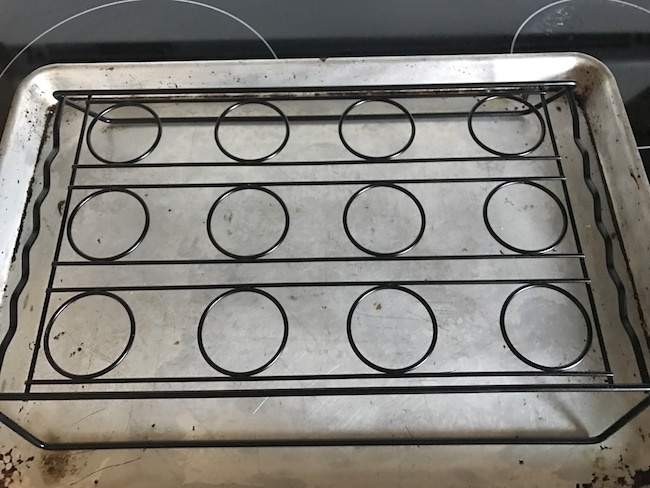 The baking rack can hold 12 cupcakes at a time, and has a non-stick finish! That makes it a very simple clean up process. I love that it is dishwasher safe, that makes it very appealing! Sometimes baking can get messy, so when it is non-stick and dishwasher safe, that makes clean up time quick and easy! 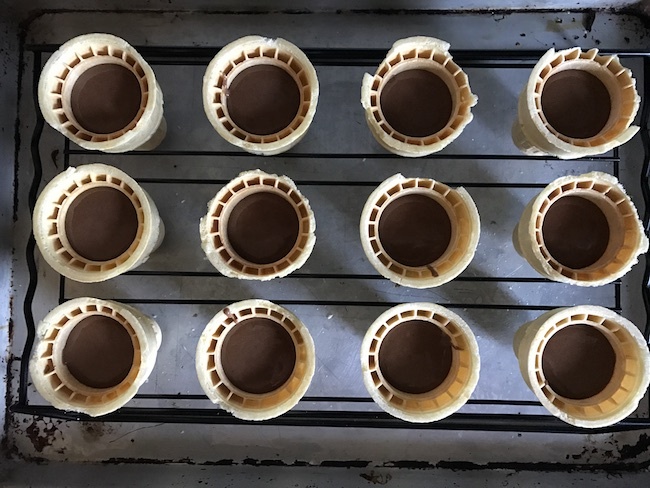 If you are planning to make some cupcakes in cones, consider investing in this baking rack. It will make your life a lot easier, no worrying if the cone tipped over while it is baking! It is worth getting, and I love it can be used to decorate and transport the cupcakes! You truly can’t go wrong here. Make your batter as directed on the box. Fill cones a little under 3/4 full. Bake about 25 minutes at 350°. 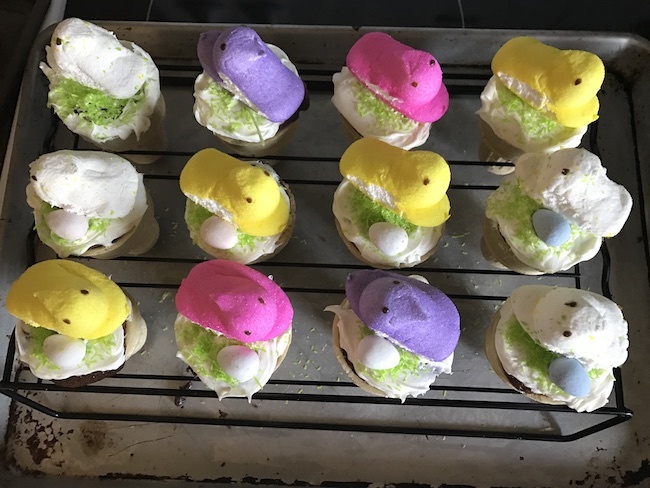 Top off with Peep Chicks and mini Robin Eggs.